Can Hemp Oil and Seeds Get You High? How Does Hemp Make You Feel? Can Hemp Oil Get You High? “Can hemp get you high?” is possibly the #1 question regarding hemp. Many people swear by the health enhancing effects of Cannabidiol (CBD) remedies, which is the reason hemp is so popular — and why it’s so controversial. But it won’t get you high. You can smoke hemp, put hemp lotion all over your body, munch on chocolate hemp bark or nutty hemp heart seeds, spread hemp jelly on your toast, or even put hemp peppermint oil on everything – and you won’t get high. Why Can’t You Get High on Hemp? Many people confuse hemp and marijuana. While they come from the same plant species, Cannabis sativa, they are not the same plant. They are related, but different. They share the same pointy leaves and pungent aroma, but that’s where the similarities end. In fact, the difference between them is not visible. It lies solely in the amount of tetrahydrocannabinol (THC), which is the psychoactive ingredient that gets you high when you smoke or ingest marijuana, which has on average 42 times more THC than hemp. This is especially the case today, since pot strains are stronger than ever. Industrial hemp products such as CBD oils and tinctures are made using cannabinoids that are extracted from the hemp flower. The level of tetrahydrocannabinol (THC) — the psychoactive ingredient in marijuana is capped at 0.3 percent, which is much lower than the amount of THC found in marijuana. 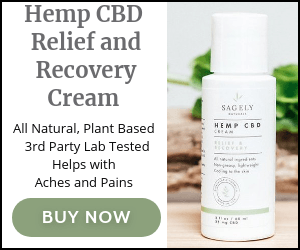 The CBD oil extracted from the hemp flower is used to ease headaches, pain, inflammation, arthritis, menstrual cramps, and has been used with great success in treating epilepsy and other seizure disorders. Please find our list of the top CBD vape oils here. Many of the hemp products found today are made from hemp seeds, which don’t contain any THC at all. Hemp seeds have even been called a “superfood” for their high concentrations of protein and Omega-3 fatty acids. The passing of the United States Farm Bill made it clear, hemp is now legal! CBD oils, sprays, tinctures and creams cannot get you high – making it rather foolish for the federal government to classify all CBD remedies as Schedule 1 drugs, thus making them illegal in many states but only if the concentration of THC is greater than 0.3 percent. Unfortunately, taking CBD can cause you to fail a drug test if that’s required at work. Unless you read this post and take action! The tests simply test positive or negative, regardless of the amount found. If you are using CBD remedies, get a note from the health practitioner who recommended it and give that note to your employer. Go ahead and enjoy buzz-free hemp products in the form of hemp-seed oil dressing, hemp beer, hemp burgers, and even milk that comes from hemp-fed cows. Just be aware that if the hemp is sourced from the flower and not the seeds, you may have trace amounts of THC in your system, which could affect drug testing.